So I have finally got round to completing part 2 of my articles documenting my digital workflow. To be honest this part is a bit messy as very little of it is automated...and that is not a good thing if you ask me. I am hoping that as the year progresses I will move to either Adobe Lightroom or the new version of Capture One as both seem to offer the possibility of a more automated workflow. The idea of having the workflow as articles is that I can update them as my workflows improve, the ultimate goal being that I only have to make the "Creative" decisions i.e. should this be in B&W ?, how about a crop? etc. The software should automate everything else: file locations, keywording, backups,etc. Soon I will start work on part 3 which deals with presentation: prints, websites and web galleries. The final part will deal with archiving. Its funny how some commonly used terms are so rarely actually defined. For a forthcoming blog, I was trying to find a link on the new-fangled world wide web thingy to explain the term "Shadow Detail". Well I couldn't find a definition of the term anywhere, so I decided to write one myself! One of the things photographers are always banging on about is "shadows" and "highlights". Now I may be a bit dim but when I started photography I couldn't work out how you knew which bits were the shadows, if you couldn't see the light source & direction. Well it turns out that by "shadows" & "highlights" they are referring to the dark stuff & the light stuff. In a black and white photo the ultimate shadow is pure black and the ultimate highlight pure white. The area between is cunningly known as the "mid-tones". With A brightly lit piece of coal on a sheet of white paper, the coal is the shadows, the paper is the highlights and if the light casts a grey shadow onto paper then that could be a mid-tone. How dark a highlight has to be before it becomes a mid-tone, and how dark a mid-tone has to be before it becomes a shadow...who knows! the chrome is a highlight and some of the wood is a mid-tone. Now one of the things photographers like to go on about a lot is "shadow detail", this is where you can see details in the darkest areas of your photograph, as opposed to the area just appearing as pure black. Generally, shadow detail is a good thing as it adds realism and depth to the image. It is often possible to recover lost shadow detail in Photoshop though it is usually best to avoid losing it in the first place by correctly exposing the image. At the other extreme are the highlights, these are the brightest areas of your picture. At the extreme end you have pure white, which is fine if you wanted bright white, if not these are "burnt out" highlights. The problem with burnt out highlights is that they contain no information,at all and no amount of tweaking and adjustment in Photoshop will get them back. ND Grad filters are often used to avoid burning out the sky in landscape photography, alternatives involve blending bracketed exposures in photoshop or another package. Getting the exposure of a shot right is often a balance between blocking up the shadows and burning out the highlights. Generally its best to err on the side of blocking up the shadows rather than over-cooking the highlights. 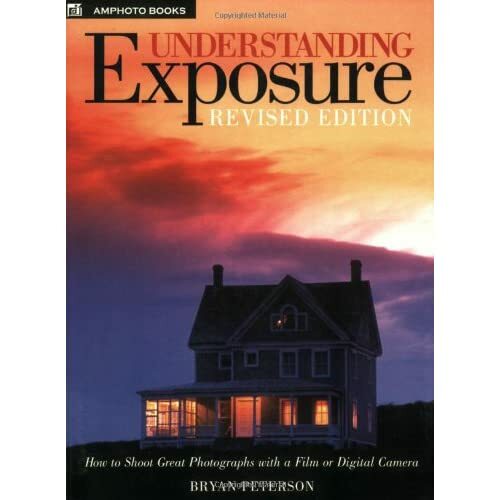 Why not checkout my crash guide to exposure or this highly recommended book. If you have a better definition of these terms, I would love to hear them. Please comment or drop me an email. So I know you are all wondering if I am sticking to my new years resolution. Well so far I am two weeks in and I haven't fallen off the wagon. The first Friday was a baptism of fire, well a baptism of overcast skies and rain really. A miserable grey day led to me wandering around The Barbican studying the patterns and shapes in the grey concrete blocks. Eventually I wandered over to The Citypoint building which I never fail to find interesting with its roller-coaster curves and unusual shapes. This shot is an attempt to capture some of the feel of the building in an abstract way. A week later and things had brightened up a bit so I headed for Canary Wharf and its brutally modern landscape of tower blocks and under-used docks. The environs of Canary Wharf have been photographed so many times that everywhere you look is a photographic cliché. So I elected to use my lensbaby2 which never fails to give an unusual view of a scene. The lensbabies manual focusing and sweet spot you can move around the frame make for a very rich and involving way of making pictures. I ended up at the base of One Canada Square, by the clocks that were really only placed there to give photographers something to shoot. Yet still the magic of the lensbaby provided a new interpretation of the scene. The thing I like about this shot is that I would never have thought of this as a shot I took. Its so far removed from my usual style that it surprises even me. So, so far I am keeping to my resolution and stretching the boundaries of my work and making pictures that I like. So I reckon it's working. I was just looking at my house on the Microsoft version of Google Earth: Local.live.com. When I noticed that the incredibly detailed aerial photos managed to capture a child's balloon floating in the sky above our street. The Balloon is at the top middle of the shot and my house is at the bottom. It always surprises me how many people are scared of using layers in Photoshop, they seem to be labelled as "Advanced" when they are really much simpler to understand than a lot of other things in Photoshop. What is a Layer ? A layer works like a piece of acetate placed over your picture....that's it really. Whatever you do on that layer will sit on top of the layers below, delete the layer and everything on it goes but the other layers are unaffected. Your picture has come in to Photoshop as a layer called "background", this is a special layer that is locked. We will get round to how to unlock it later, but for the moment believe me when I say the padlock to the right means its locked. now we will add a new layer on top of this. Now that's pretty - "but what's the use in that? ", I hear you ask. Well if you click on the eye symbol next to layer 1 you can switch this off and on. So at any time you can see what the picture looks like with & without your changes. A popular use for this would be when cloning out an element in the picture. First add a new layer then select the cloning tool and make sure sample all layers is selected. Now all the cloning is on this new layer and doesn't affect the background layers at all. Should you decide that the cloning doesn't work you simply drag it to the new layer to the bin at the bottom of the page. If you save the image in Photoshop (psd) or tiff format your layers will be preserved for use next time you open the file. If you click OK you end up with the background layer renamed to layer 0, now it is exactly the same as any other layers in the document. Select Layer > Flatten Image, which will condense all the layers into the background. Select the layer you want as a background and chose Layer>New>Background From Layer. Right click and select Delete Layer. Drag it to the little bin icon at the bottom of the layers palette. Next time we'll look at using layers to create a simple border effect. I have had a picture in The East Anglian Daily Times yesterday. As part of a three page feature on the exhibition at The Basement Gallery, Ipswich. The picture chosen was "May in July", taken at sunset on Derwent Water. I haven't actually seen the paper myself as I am well out of their circulation area, but I am told it looks good. OK, I know I'm a little late with this one, but I always think a promise made in the cold light of day is always so much better than one made after a lot of bevies on a new years eve followed by hugging a lamppost telling it that it's your best mate. Well my photographic resolution is to work harder at my London Light/London Life Project specifically I will get out and take pictures every Friday that I am in Central London. The reason is, quite simply that I find Central London really difficult to photograph, its busy,cluttered and not really the sort of place that appeals to me at all visually. But that's the point, it's only by stretching ourselves that we find new ways of interpreting the world around us in our photographs. We choose to go to the moon in this decade and do the other things, not because they are easy, but because they are hard, because that goal will serve to organize and measure the best of our energies and skills. Wish me luck with my resolution, it may be one small step for me but it might be a giant leap in my photography. 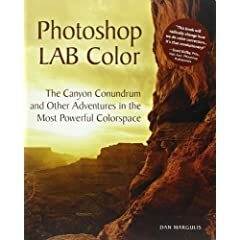 One of my Christmas presents was Photoshop Lab Color: The Canyon Conundrum and Other Adventures in the Most Powerful Colorspace which, as it goes, has to be one of the longest book titles I have come across in a long time. It's a long and detailed book that takes some reading, I found it was best to work through about two pages then work out what disk that comes with it was talking about with photoshop and the example disk that comes with it. But once you get used to the LAB colour space and using the curves to modify it, then it does start to make a lot of sense. The book is cleanly written with lots of examples and the accompanying CD provides just the sort of example images you need to understand the concepts involved. When would I use LAB? Well I'm only halfway through the book but the advantages seem to be that the LAB colour space separates contrast from colour information. Tweaking the curves (ohh listen to me, I didn't understand curves at all till I read the book!) allows you to boost contrast in areas that would normally be impossible in other ways. The other use seems to be to provide a real differentiation on groups of similar colours, which would be very difficult to do in any other way, even with the raw processor. A minor LAB tweak later and Tower Bridge emerges from the gloom and the HMS Belfast has got its colour back. The changes were applied to the entire image yet the man's orange jacket and sign are unchanged. Last weekend I popped up to The Basement Gallery to see how my work was going in The Painters With Light Exhibition that is on there. Whilst I was there I was very pleased to see Edward Norton's first exhibition in the same gallery. I have met Edward on many occasions and its always a pleasure to shoot along side such a talented technician and all round good chap. Having seen his work on the web it was great to see his work as prints, where they really come to life. If you are visiting Ipswich in January I strongly recommend you pop down to The Basement Gallery: 11 Elm St & 12-14 Princes St and checkout Edwards Beautiful images. Police have issued a warning to all dog owners: Watch your dog! A sniper has been picking off dogs one at a time and almost a dozen have been killed or wounded so far. These horrible attacks have occurred predominantly in the Glasgow area. Police say they have a suspect and an arrest warrant has been issued, but so far, they haven't been able to nab him. Police have distributed a photo (attached) of the alleged suspect please keep your dogs safe and distribute this to anyone who has dogs in the area.